Capa fled political repression in Hungary when he was a teenager, moving to Berlin, where he enrolled in college. He witnessed the rise of Hitler, which led him to move to Paris, where he met and began to work with Gerta Pohorylle. Together they worked under the alias Robert Capa and became photojournalists. Though she contributed to much of the early work, she quickly created her own alias 'Gerda Taro' and they began to publish their work separately. He subsequently covered five wars: the Spanish Civil War, the Second Sino-Japanese War, World War II across Europe, the 1948 Arab–Israeli War, and the First Indochina War, with his photos published in major magazines and newspapers. During his career he risked his life numerous times, most dramatically as the only civilian photographer landing on Omaha Beach on D-Day. He documented the course of World War II in London, North Africa, Italy, and the liberation of Paris. His friends and colleagues included Ernest Hemingway, Irwin Shaw, John Steinbeck and director John Huston. In 1947, for his work recording World War II in pictures, U.S. general Dwight D. Eisenhower awarded Capa the Medal of Freedom. That same year, Capa co-founded Magnum Photos in Paris. The organization was the first cooperative agency for worldwide freelance photographers. Hungary has issued a stamp and a gold coin in his honor. 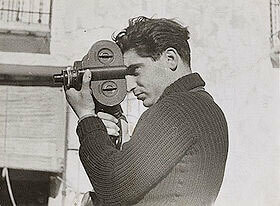 Famed photojournalist and founder of Magnum Photos, Robert Capa was primarily known for his black-and-white images. But after World War II he turned increasingly to colour, fulfilling assignments for a variety of popular magazines such as Life and Holiday. 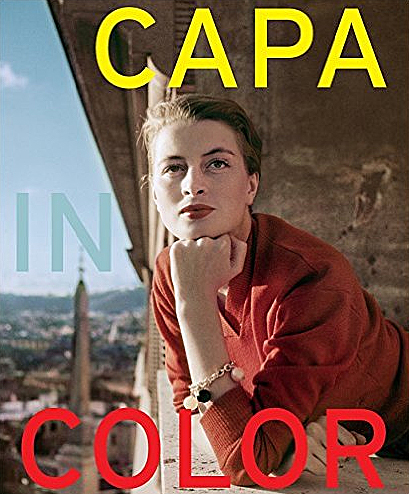 This volume reproduces Capa's colour images in a wide variety of forms including prints, magazine spreads, book jackets, and other ephemera, revealing the photographer at a point in his career when his role as director of Magnum required that he keep up with current technology - both as a business decision and a way of capturing new assignments. This book also features a contextualising essay by International Center of Photography curator Cynthia Young, travel writings by Capa and assignment collaborators John Steinbeck and Irwin Shaw, and brief essays providing background on various pieces of reportage. 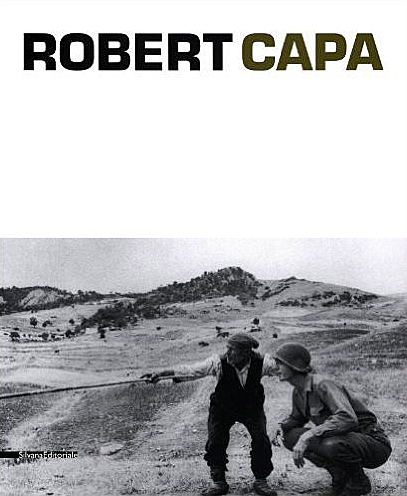 Even in his lifetime, Robert Capa was described as the greatest war photographer in the world. It was an ironic achievement for a man who loathed war, but to this day, no one better embodies the photographer as cultural soldier and no one's work better encapsulates the violence and brutality of the twentieth century than Capa. This volume presents a rich selection of his work as a war photographer, starting from the images that established his fame: his documentation of the horrors of the Spanish Civil War from 1936-1939 and the Chinese resistance to the Japanese invasion in 1938. It continues on to World War II--including Capa's stunning photographs of the D-Day landing in Normandy, where on June 6, 1944, he swam to shore alongside the second assault wave of American troops--and on to the first Arab-Israel conflict in 1948, before concluding with the First Indochina War, in which Capa joined a French regiment and eventually lost his life. Today, the wars of the twentieth century may have transformed from wounds into scars, but Capa's images remain as devastating as ever, describing the trauma of war through a civilian's eyes, and reminding us that despite years of loss and destruction, humanity manages to persist. 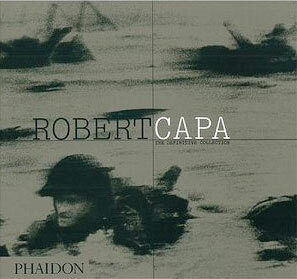 This book represents the most definitive selection of Robert Capa's work ever published, a collection of 937 photographs selected by Capa's brother, Cornell Capa (himself a noted Life photographer), and his biographer, Richard Whelan, who meticulously re-examined all of Robert Capa's contact sheets to compile this master set of images.